Although the title of this review is taken from Zwicky’s poem “Growing Up”, it does not adequately encapsulate the sheer vitality and range of Zwicky’s oeuvre, which is many-faceted – by turns sibylline and austere, provocatively irreverent, ironic, mordantly witty, wise, perspicacious, sober, uncompromising, sometimes grim, ultimately compassionate. This is her book, the book of her life in art, or rather, lives: a woman of prodigious intellect, integrity and talent; a one-off in Australian poetry, whose polymorphic style resembles no other. The Collected Poems of Fay Zwicky curates the five poetry collections published in her lifetime (1933-2017), as well as a small number of uncollected poems. This beautifully presented volume includes a prefatory essay by Zwicky, “Border Crossings”, originally published in Best Australian Essays (Black Inc., 2000), and an illuminating introduction by the editors, Lucy Dougan and Tim Dolin, whose observation that “Zwicky’s poems are the material record of what made her the person she is”, is borne out by the richness and variety of the poems. Born and educated in Melbourne, of a secular Jewish family, Zwicky was to travel extensively in Asia, Europe, and the United States, initially as a concert pianist to Indonesia, Malaya and Singapore, and as a graduate student of music to the United States; then, through her marriage to a Swiss biologist she met in Java, to Europe and thence to a permanent residence in Perth, WA, where she lectured in American literature at the University of Western Australia. 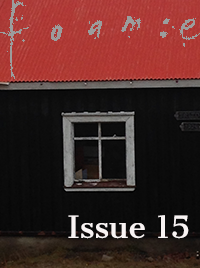 From that anchorage she again travelled, as a visiting scholar and poet, to the USA, the UK, China and elsewhere. Her travels in literature were no less wide-ranging, and spanned many literary cultures, of which the beat generation, especially Ginsberg, was to be a liberating force in her own work. But her spectrum of literary influences, associations and inspirations (let alone the musical ones) includes Dostoevsky, Donne, Blake, Shelley, Hopkins, Dickinson, Whitman, D. H. Lawrence, many poets from the USA, certain Chinese poets, a number of British poets, the Canadian Mark Strand, and some of her Australian contemporaries. These represent the tip of a very considerable iceberg, as her poetry contains additional epigraphs from, echoes of, and references to, Homer’s Odyssey; Ecclesiastes; Cavafy, Isaac Babel, Theodore Roethke, Marguerite Yourcenar and many other literary sources. Some of Zwicky’s early poems from the first two collections appeared in Meanjin, where, as a graduate, she worked as an assistant to Clem Christesen, and in literary magazines in the USA, such as Antaeus. Isaac Babel’s Fiddle, her first collection, published in Adelaide in 1975, brings together poems on the themes of ancestry, pogroms, maternity, literature, music, life in the American Midwest of small towns and tornados; creativity, faculty and campus life, and other matters, in registers that range from the lyric to the satirical, with many shades between. I remember the excitement I felt, coming across the title of this collection. As a student of Russian literature, I’d been reading Babel’s collection of stories, Red Cavalry, based on his experiences as a Jew who rode as a journalist with Budyonny’s Cossack cavalry in the post-revolutionary Soviet-Polish war, committing atrocities against the Jews of the Pale in the process. Babel had discarded his violin in favour of literature. Paradox, contradiction and the irreconcilable are grist for Zwicky’s mill, as the magisterial “Kaddish” was to demonstrate. The poems in this first collection tend not to be lengthy, “A Midwestern Wife” being one of a few exceptions. Sequences of poems include “Emily Dickinson Judges the Bread Division at the Amherst Cattle Show, 1858” which might be read as a cryptic poetic. What other commentators have identified as Zwicky’s “ear for place” is already apparent, as is her ear for the vernacular. Kaddish and Other Poems (UQP 1982), Zwicky’s second collection, is with good reason considered her breakthrough book. 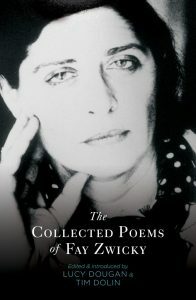 It contains two powerful sequences of poems, Kaddish, for her father — her unorthodox take on the Jewish traditional prayer for the dead, which is at the same time “a hymn of praise to God and a celebration of all creation” (Zwicky); and Ark Voices, in which her exuberant energy and inventiveness come to the fore. Lord, the cleaning’s nothing./ What’s a pen or two?/Even if the tapir’s urine/ Takes the paint clean off/ There’s nothing easier.// But sir, the care! (“Mrs Noah Speaks”) The poems that follow the redoubtable Mrs Noah’s vernacular litany of woes are in the first-person voices of animals: “Lemur”, “Bat” (by day I hang/ like one condemned/ to die)’; “Mouse”, “Mink” (fury of frisk and gore/ and the long strong smell/ of a death. ); “Wolf-Song”, “Tiger”, “Hippo Sonnets”, “Giraffe” (Motionless mottle/ I blend: am/ sun-patches/ leaf-clusters/ everything/ nothing); “Whale Psalm”, “Elephant”. Each of these poems is distinctive; the menagerie is portrayed in text of diverse forms, for example “Wolf-Song”, where the singer has lost his true love to hunters and vows to avenge her, employing a traditional ballad form that is effortlessly sustained. Whose blood is this in the forest? What moon shines clear in the sky? The hunters will surely die. Pretentious poets are satirised in “The Poet Gives a Reading” and “The Poet Puts It Away”, before, in an abrupt change of tone, the collection ends with “The Poet Asks Forgiveness”. The third and largest collection, Ask Me (1990), is one I sub-edited for UQP. My first meeting with the poet took place at the Queensland Art Gallery, where she gleefully and illegally insisted on paddling in the pelican pool (the pelicans are bronze ones), to cool her hot, dusty feet. The sequence titled “China Poems” opens this collection, followed by a series on Hindu deities under the title “The Temple, Somnapura”: “Ganesh”, “Vishnu”, “Siva”, “Devi”. Fascinated by other cultures which she does not presume to know, Zwicky is very much the outsider (a lifelong role she consciously embraces) in China, and in the temple poems is drawn into a cosmic dance in contemplation of unfamiliar deities. From the disconcerting unfamiliarity of China and the mysterious emanations of a Hindu temple there is a thematic, geographic and stylistic shift to “Four Poems from America”, and thence to the long, Homeric-inspired sequence, “A Tale of the Great Smokies”, whose “heroes” are Otis, Uriah, and, yes, Penelope. Here as elsewhere, Zwicky’s adroitness in interweaving poetry and narrative is one of the strengths of this extended work, as is her ear for the vernacular: (Most was white but now and then/ a black cropped out./ We liked a black born onst/ a while. It saved us / from the dyeing.) (“Otis Raises Sheep”). Zwicky’s delight in the vernacular is given free rein in other poems in this rich and diverse collection, Ask Me, where she expands her range into new thematic and formal areas of experimentation. “The Call”, dedicated to the Cornish poet Charles Causley, one of Zwicky’s personal friends from her time in the UK, is a playful monologue purportedly emanating from a newly installed phone box somewhere on the edge of a desert in South Australia. The humour and high spirits of the middle section constitute an intermezzo before the sobering intimations of mortality in section 111, where Zwicky’s experiences as a carer for the terminally ill become the subject matter of some of her finest poems There are also elegies: “In Memory, Vincent Buckley” (“stoned on/ art’s austere virginities, frozen in our/ private dislocations…) and the sequence “For Jim” in memory of Jim Legasse, a younger academic colleague and poet at UWA. with thing, the feeling shows. This poetic is absorbed into Zwicky’s practice to powerful effect in such poems as “Home Care”, where the wooden stool made by the terminally ill woman’s son as a child functions as a synecdoche at the core of her tenuous hold on life; in “Soup and Jelly”, where the only foods the patient is able to tolerate nonetheless become the pretext for him to assert his independence; and in “Reading”, where the swollen feet of the gentle, unassuming miner whose lungs are beyond repair become the pivot of the poem’s pathos. In Zwicky’s final published collection, Picnic, the poet-narrator again receives instruction from a Chinese sage in the poem “Push or Knock”, where a mysterious Mr Tang, the translator of some of her poems, pays her a visit at her home in suburban Perth and proceeds to dispense his pearls of wisdom (‘In China, we say punishing the poem.’) in connection with the problem of eliminating gratuitous verbal scaffolding. The Gatekeeper’s Wife and Picnic revisit some of the themes seen in earlier collections, without being repetitive: there are elegies, meditations on art, homage to poets Zwicky admires, such as “Shelley Plain” and “Groundswell for Ginsberg” (Forget the tellers. Remember the tale/ and the frail ghosts of our passing flowers.) While themes from earlier work are reprised, new material is also introduced. Along with new experiments in form and voice (for instance, “A Canterbury Tale”, a pastiche in Chaucerian language which gives an account of a conference at the University of Kent), there is the sequence “The Terracotta Army at Xi’an”, a brilliant suite of poems as proof that the poet Fay Zwicky, like Hokusai, the subject of another poem in Picnic, “Hokusai on the Shore”, suffered no diminishment of her creative powers with advancing age, although there is an occasional note of vulnerability, also at times a mellowness of tone, more pronounced than in the earlier poems, and a deepening awareness of mortality. The Collected Poems of Fay Zwicky offers the reader an in-depth conversation with a passionate, eloquent, fiercely intelligent spirit, a poet who found inexhaustible delight in language and its possibilities; never one to flinch from asking the hard questions or avert her consciousness from the pathologies of the human condition, bringing to bear on her subjects an acuity of eye and mind and heart, an ethical rigour and an ultimately compassionate gaze.